Among those who will testify on Henry’s behalf: his former principal, an expert witness working for free and his FBI Gang Task Force handler, who had originally refused. Henry had finished his overnight shift in the jail cafeteria on Tuesday and was lying on his bunk listening to Spanish rap when he was called up to the administrative office. Immigration officials wanted to offer him a chance to be moved into protective custody. Henry had been waiting on this offer for the eight months he had been in jail, an informant locked up with the same gang members he informed on. But now, he was unsure whether to accept the extra protection. The call came in response to a story published Monday by ProPublica and New York Magazine. 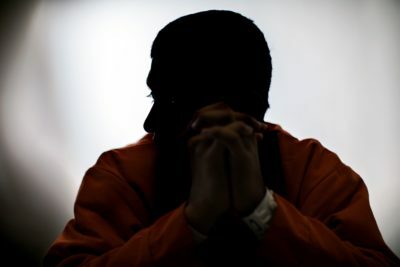 It detailed Henry’s recruitment into the gang MS-13 as a child in El Salvador, his journey to the U.S. to plead for asylum at 15, and his decision to become an informant at 17. For nearly a year, he helped police and the FBI arrest members of his gang clique on Long Island until immigration enforcement arrested him last August for gang ties, using the same information he gave police. Labeled a snitch, he faces deportation to a country overrun by the gang that has marked him for death. Today is his final immigration hearing. Henry decided to take on additional risk and make his story public, in hopes that someone would come forward to save him. This week, many have. Henry’s FBI Gang Task Force handler agreed to testify at his hearing. His former school principal, now superintendent of Brentwood School District, spoke to Henry in jail and volunteered to speak in court. An expert witness who charges steep hourly rates for testimony about gang culture agreed to work on Henry’s case for free. Hundreds of people have written in asking how to help Henry. It’s a hard question to answer, because his fate is really in the hands of the immigration judge who will decide his case this afternoon. Henry may have already disqualified himself from asylum by telling police he was forced to kill a man with a machete when he was 12, as part of an initiation ritual in El Salvador to join the gang. The police turned over his confession to this murder, along with other incriminating information, to Immigration and Customs Enforcement, which used it to build a case for his deportation, laid out in an unsealed memo. His lawyer Bryan Johnson plans to argue that Henry committed the murder under duress, like a child soldier. He says information told to police by a teenager who believed he was going to be placed in witness protection should not be admitted as evidence. In a filing Wednesday, ICE bypassed most of Johnson’s arguments and came back to the murder: “He plainly admits to homicide,” a government lawyer wrote. If Henry’s asylum claim is rejected, his lawyer will argue that deporting him amounts to a violation of the United Nations Convention Against Torture, because the U.S. cannot send him back to certain death. Henry’s other option is to quickly convince a member of law enforcement to help him get a special visa for cooperating witnesses. These visas are intended for people who might otherwise be disqualified for legal status because of their pasts. The story has galvanized activists, but Henry’s lawyer has been warning people to stay away from his Thursday hearing, for fear of alienating the judge. 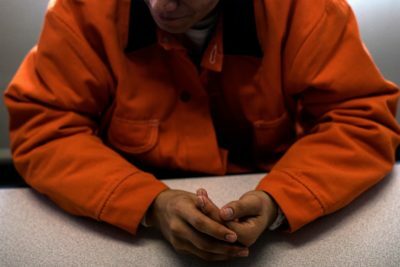 Advocacy groups including The New York Civil Liberties Union and National Lawyers Guild said Henry’s story shows the problems inherent in failing to protect immigrant informants. “The way Henry has been treated by law enforcement and ICE is a terrible example of the irrationality and inhumanity of ICE’s mass deportation agenda. Despite risking his life to protect others from violence, Henry and others like him are forever labeled ‘gang members.’ These actions undermine attempts to build safe and thriving communities,” said Alisa Wellek, executive director of the Immigrant Defense Project. On Long Island, local politicians were struck by Henry’s case. Rob Trotta, a legislator in the Suffolk County government who was a member of the FBI Gang Task Force before entering politics, said the story showed failings in Suffolk police policies. “It’s embarrassing that Trump had to send ICE in to start deporting all these people. This should have never happened,” said Trotta, who is a Republican. Henry thought when he was called to speak with immigration officials that he might at last be getting moved into witness protection. But instead, they offered to move him to a separate pod, away from any known gang members. He declined, thinking that kind of change would only underline to the gang that he is, in fact, an informant. He was amazed by the offers of help from readers who wrote to ProPublica. Families in Connecticut, Illinois, Wisconsin, Washington and California have offered to take him in if he wins asylum. One reader offered to set him up with a job in the Midwest. Another said she is working on getting him a visa to move to Canada. Greg Boyle, founder of Homeboy Industries, the largest gang re-entry program in the country, volunteered to take Henry into the program, which offers services including job training and mental health counseling. “I’d be honored to have him here,” Boyle said. 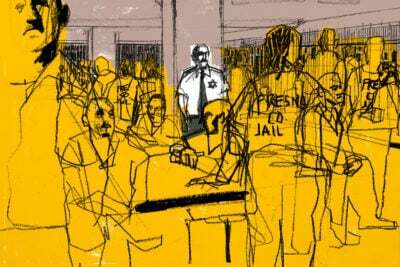 Calling from the phone bank of the noisy jail, Henry sounded like a different person — laughing and chattering after months of ruminations on his slim chances of living to see 20. If he is given asylum, Henry says he would like to join the U.S. Army. He was especially heartened to hear from members of the military. Erik Ruiz, a first-generation Mexican American, wrote to say he empathized with Henry, as he too had overcome challenges to become an Army infantry officer. “Henry is the kind of kid I want to lead in my platoon. An underdog who is trying to survive and do the right thing,” Ruiz wrote. Henry whispered “wow” and said that if he was released, he intended to find the phone numbers of everyone who had reached out and call them to say thank you. Update, April 5, 2018: This story has been updated to reflect additional support Henry received in the hours leading up to his hearing.